How much does authenticity matter to you? We live in a world where we do a lot of substitution. Cheap materials instead of expensive ones, for instance. Gold plating serves in places where gold is too dear. Cubic Zirconia fills in for diamond. And plastic can be made to look like just about anything. Bamboo is a renewable resource frequently used in sustainable materials. In other cases, performance drives us to find a substitute. Some replacements are less fire-prone than the originals, or, lend themselves less to contamination. They may last longer, or degrade in some preferable manner. The best of these substitutes gain a new authenticity in their own right—no longer trying to fool anyone, but instead gaining their own market. The lure of the original can be hard to beat. For that reason, the Federal Trade Commission keeps an eye out for retailers and others who blur the lines. 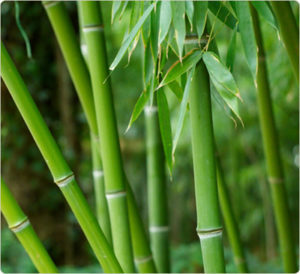 Recently, several well-known stores were penalized for misleading labelling of a range of products purportedly made from bamboo. Bamboo is a rising star in the materials game. It grows quickly, of course, and its fiber can be used in any number of ways. The question is: when does it lose form of bamboo? Such questions can be answered differently by people of good conscience of course. Imagine your local bookstore has a coffee shop. Clear out a book or two to serve coffee, and it’s still a bookstore. Clear a few more for cards and games, same answer. Repeat at infinitum. So at what point is this shop no longer a bookstore? But, lest we digress entirely into philosophy, back to the bamboo. Now, you can use bamboo fibers in a number of ways that involve changing its form—not just shaping it, but pulping it for instance. In pulp form, it’s one of many highly versatile materials that can be used to effectively curb our dependence on nonrenewable petroleum used in plastic. Or, you can use it to make something entirely different—namely rayon. Rayon is a semi-synthetic material used in textiles. It starts as fiber from some plant source, and is then heavily treated. Some features can be added, like water resistance. In fact, it’s a significant component in ocean waste, according to at least one study. What it definitely isn’t, I think we can all agree, is bamboo. Labeling it as such is like calling ketchup a vegetable. Take heart; there is actually good news here. Bamboo —and its native fiber appeal – apparently has enough cache to warrant the risk of huge regulatory fines for mislabeling it. That means people, to whom authenticity matters, want to buy it. They are looking for renewable materials that won’t harm the environment—not imitation, just A Refreshing Alternative.